This tutorial, as well as materials used in this project can also be found on the Frog Dog Studio Blog and Frog Dog Studio Shop. Hello everyone! Melissa here with a tutorial on a little project I made up using the rest of my September Frog Dog Studio kit. This month I was introduced to Gelli printing for the first time and I just can’t express to you how much I LOVE making these prints!! There are just so many possibilities. For this little project, I wanted to do a simple drawing on top of the gelli print background that I had created using the canvas paper pad from the kit. I started out by lightly sketching the bird with a pencil, then outlining it with a black Pitt pen. I stuck a few leftover neon reinforcement circles onto the page, and also added some polka dots to the wing, using a Sharpie poster paint marker. Next, I used my white gel pen to outline the bird and add a little character. Using the Faber Castel Big Brush marker (in pink), I outlined around the reinforcement circles and the bird and then blended it all in with my finger. 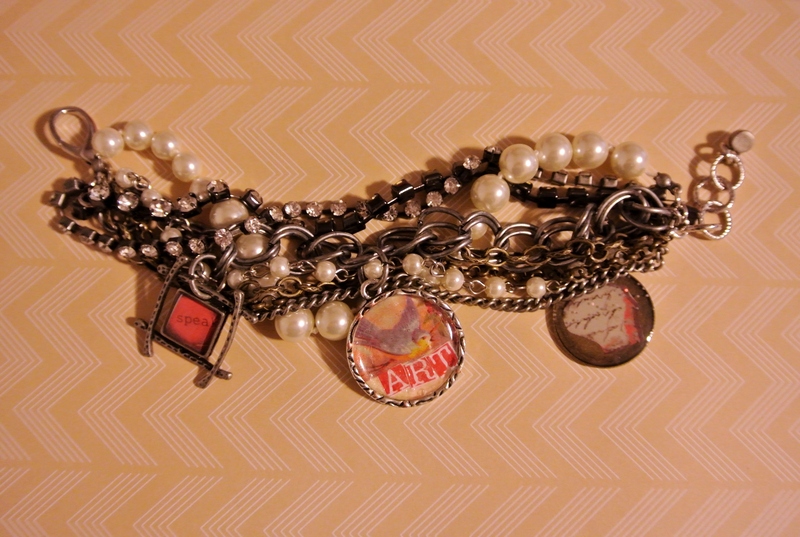 This helps to incorporate the images and stickers into the background, rather than have them sticking out. I also used a purple Inktense pencil to shade under the wing. At this point I noticed a few blank spots on the piece that were bugging me, so I added a few pieces of Tim Holtz tissue tape to fill in the gaps. I also smudged a little bit of pink with the big brush marker to help it blend in. Using the exclusive Frog Dog Studio stamp set and the Faber Castel Big Brush pen (in Pink Madder), some stamping was added into the background for texture. To finish, I stamped a quote onto a piece of scrap paper then cut it apart and glued it to the piece. Rub ons were also added. 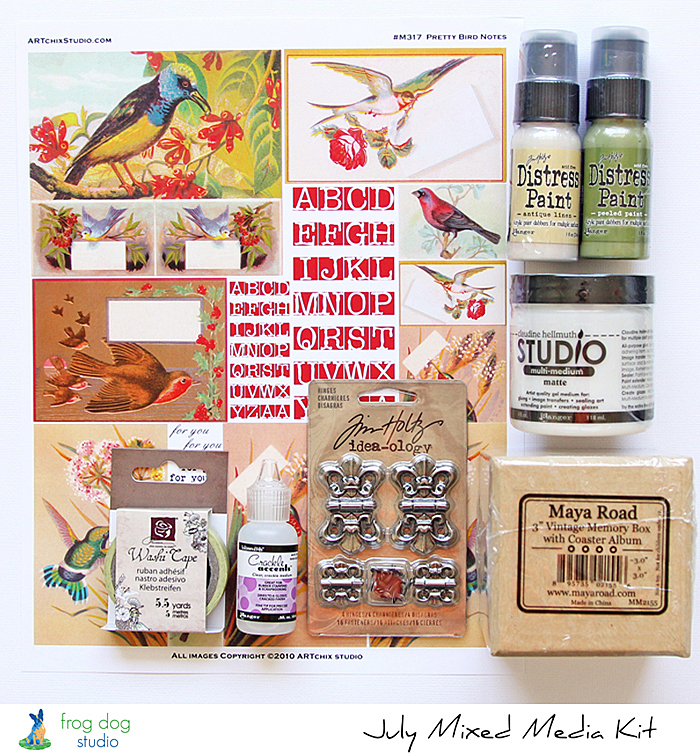 Good morning, I wanted to share a tutorial on how I created a page in my art journal using our Frog Dog Studio’s July mixed media kit supplies. You can also find this tutorial on the Frog Dog Studio Blog. 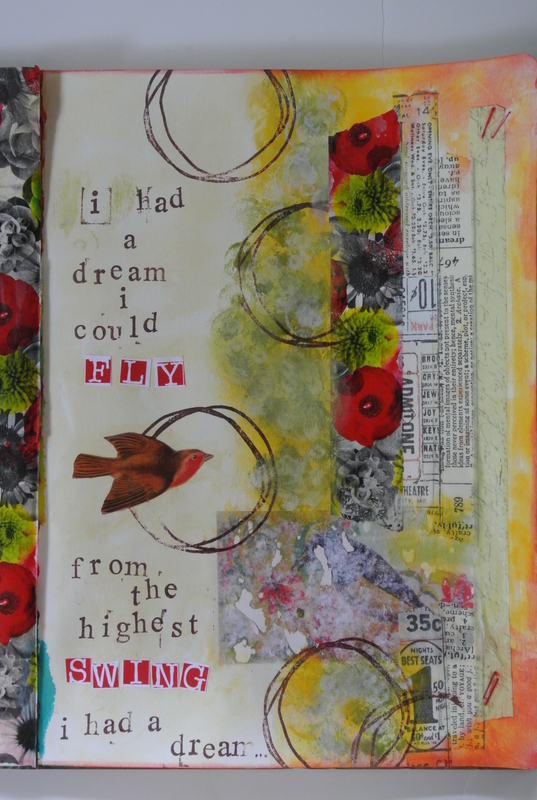 For my journal page this month I wanted to try and conquer my nemesis…the image transfer! I have books on techniques, have watched tutorials, and even had a lesson on this from the very talented Donna Downey and I still can’t seem to get this nailed! Practice makes perfect, right? So I decided to give it another go using the clip art and matte medium from this month’s kit. I started out by choosing an image from the sheet, cutting it out, covering it with the matte medium, and laying it face down on the page. I then burnished it using my brayer. I misted the image with water, adding more as needed, and gently began rubbing off the back side of the image. The paper was really wet and crumbly, but I could see the image coming through pretty good. Next I added some strips of washi tape around the image transfer. I also used the paint dabbers from the kit to add some color. I wanted to add a punch of color, so I got out my Pan Pastels and used a foam sponge to work the yellow colors into the entire background. I used another Pan Pastel in red to blend in the edges and add some pop. Then, I used a circle stamp from Claudine Hellmuth and Ranger Archival ink to add some contrast. Music often inspires me, and while I was working on this page the song “Dream” by Priscilla Ahn came on my mix. How perfect to go with my bird themed page! I cut out another bird and the letters for FLY and SWING from the clip art sheet, then got out my trusty cheap-o letter stamps to create the journaling on my page. Well my image transfer still wasn’t 100%, but that’s the thing about art journaling–it’s a great place to practice, make mistakes, and experiment. Don’t be afraid to try something new today! Be sure to check out the Frog Dog Studio Blog for mine, as well as my fellow DT member’s tutorials on all of this month’s projects. I also wanted to let you know about our Refer A Friend promotion. Check out the post HERE to find out all of the details. 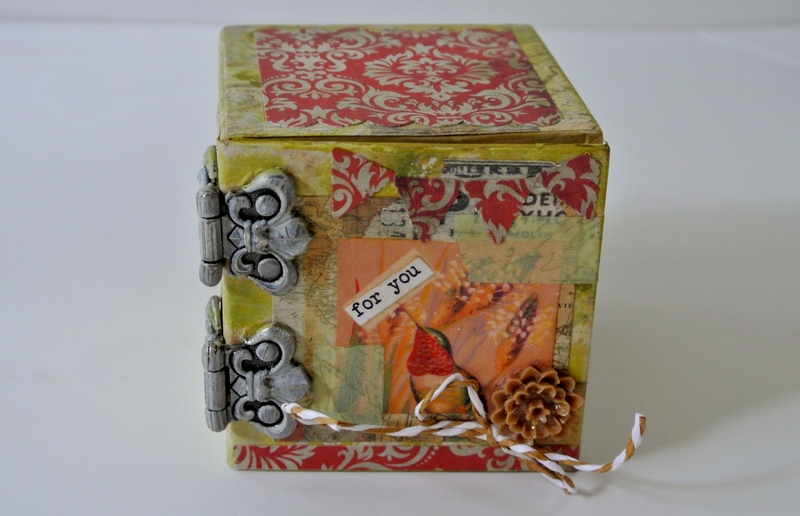 It’s a great deal and a fun way to share mixed media with friends. I also managed to squeeze in a project from my LifeBook class-Week 18. 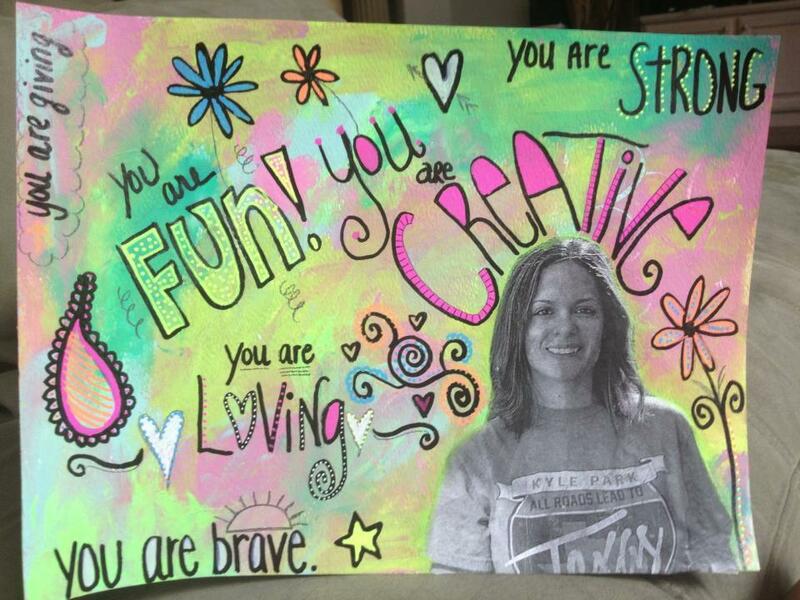 A Page of Affirmations with Dawn DeVries Sokol. It was a quick and fun exercise-even though I struggle with praising myself for anything.